A single credit card may not be equipped to fulfill all your desires. The uniqueness of human needs may compel you to pick one card over another. While a certain card may stand up to your financial needs, others may not fit in with any of them. Finding a single card that matches multiple needs may seem like hunting a needle in a stack of hay. You must identify with the primary reason behind filling out your application. It will help you compare the features of all cards that meet your lifestyle requirements. 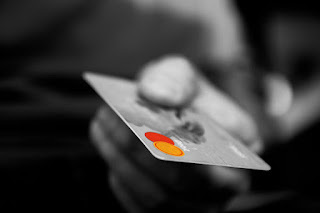 Prior to applying for your credit card, you must study the ways in which a creditor views you. You must also go through your credit history. Begin by checking your credit scores with the credit reporting agencies. You may check these scores regularly and seek alerts on each change pertaining to the FICO® Score. Find an easy access to your credit scores via your current bank accounts and credit cards. Look out for free copies of your credit reports with your credit card issuers. The credit scores are bound to vary from 300 to 850. You should spot any error occurring in your report very easily. Identifying errors can help in pulling up your credit scores and enhance your creditworthiness. Achieving travel or cash back reward points is quite natural with some of the popular credit cards. You may even earn considerable reward points with your airline credit card once the balance is met in full every month.You’ll need to stick to a budget-friendly repayment plan for meeting your balance in full. Don’t forget that these cards carry much higher APRs than usual. Otherwise, your interest amount will offset the value of rewards that you achieve. A number of cards are there to match the specific needs of consumers that are attempting to reimburse their current balance or consolidate their debt. Few of the balance transfer cards are even issued for 0% APRs under their launch offers. This introductory period may even be extended up to 18 months just to ensure more savings while reimbursing the debt amount. You might need to meet a balance transfer fee, which is up to 5% of the amount of transfer. However, it might seem a bit tough for you to avail the most lucrative BT offers when your credit score is not up to the mark. You must have understood why it’s necessary for you to find the right type of credit card for your needs. It’s in your interest to shop around and identify the best card for them. Based on all your needs, you’ll need to spend time doing some researches, posting your queries and answering various surveys. A few comparison websites can help you compare all identical offers posted by the credit card issuers. The credit matching systems used by lenders offer certain opportunities for you to open a free account with them. You’ll find it much easier to compare offers that match your spending habits with that of your credit profile.